Antonio joined the Polifonica Materana Choir when he was just nineteen years old, in July 1996. He gets immediately noticed for his musicality, his remarkable baritone voice and his natural lyric training, although he wasn’t a professional singer. Within few months he became one of the leading bass chorister, for that reason he was chosen as adjunct to the Italian and German tour of the Saarland University Choir, conducted by Jürgen Böhme, for the performance of Mozart’s “Requiem”. Over the years, he collaborated with other choirs: Potenza Province Lyric Choir (Mozart’s “Requiem KV626” conducted by Claudio Desderi, Mozart’s “Coronation Mass” and Bernstein’s “Chichester conducted by Luis Bacalov), Cantori Materani Choir (Perosi’s “La Passione” conducted by Valentino Miserachs Grau). 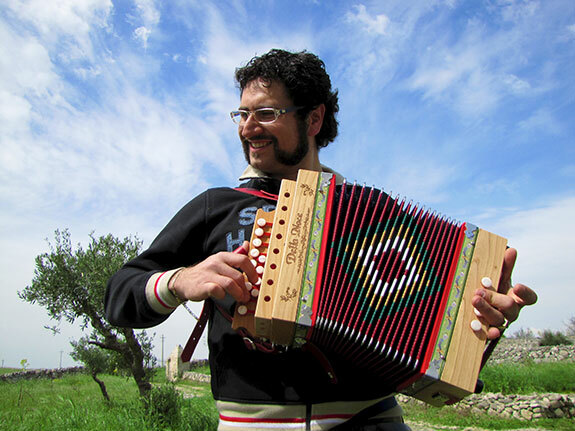 Antonio was so passionate to music and determined that he learned by himself to play several musical instruments (piano, violin, saxophone, accordion, tambourine etc.). 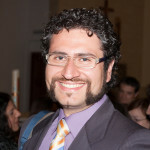 He was chosen to sing in the “Matheolae Gregorianae Voces” Gregorian Ensemble and the “Pierluigi da Palestrina” Vocal Ensemble inside the Polifonica Materana Choir; several times he performed solo parts. In 2002 he joined the Choir Management Committee and in 2008 he gained the Vice-President role he kept until he died. He undertook to make the Choir develop, supporting also the rising idea of a Choir Competition in order to promote choral music and Matera. Antonio could not see the dream of the Competition become true, but his example keeps being a lodestar for the whole Polifonica Materana Choir: when the Competition became true, a year after his death, it was obvious it would be entitled to his memory, the memory of friend we will miss forever.